"The time came…they said he was prepared, but he is totally unprepared for this task. He is just a puppet, and is placed where he is so that the US could stand behind him and speak," the diplomat added. 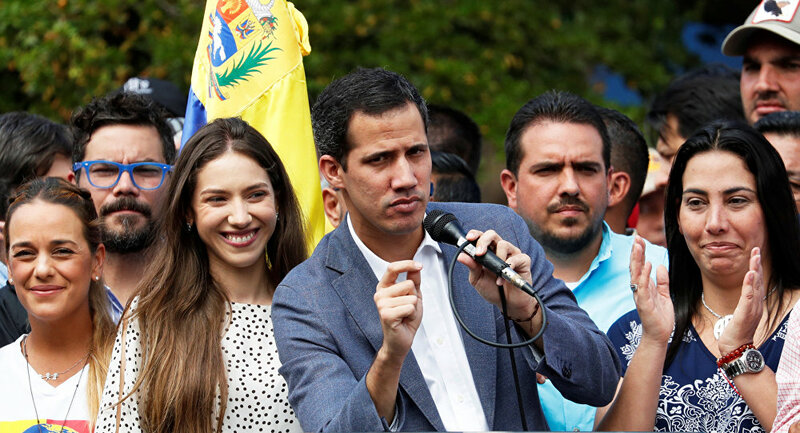 Tortosa emphasised that the concept of an "interim president" does not exist in Venezuela's constitution, and that claims by Guaido and his US allies to the contrary were just an attempt to "fool" the international community. Tortosa noted that the economic war against Venezuela began immediately after the death of President Hugo Chavez, adding that this was the main cause of the current crisis. "Yes, of course, many mistakes were made by our state and by President Maduro. But these were not mistakes which put us in the situation we are in today. There has been a boycott of the production of crucial foodstuffs and medicines. This started after the death of Comandante Chavez. Immediately after his death, they started an economic war," the envoy said. US actions against Venezuela go back two decades, to Chavez's election and his domestic and foreign policies, including the search for alternative alliances, which bothered Washington, Tortosa said. Commenting on the US humanitarian aid piling up on Venezuela's borders, Tortosa said that such assistance was just a "trap" which could be followed by a military invasion. The envoy added that the US decision to freeze Venezuela's accounts abroad was aimed at exacerbating the country's economic crisis to set Venezuelans against their government. The diplomat also warned that Washington may try to use other countries, including Colombia and Brazil, to assist in its aim of toppling the Maduro government. "They are prepared to do this as well, and this must be accounted for," he warned. According to Tortosa, Washington is now actively searching for someone in Venezuela's armed forces who is ready to "betray our president." Tortosa's remarks came during a Federation Council meeting of the working group of the committee on the protection of state sovereignty, charged with investigating examples of contemporary forms of meddling in the internal affairs of sovereign nations, on Tuesday.